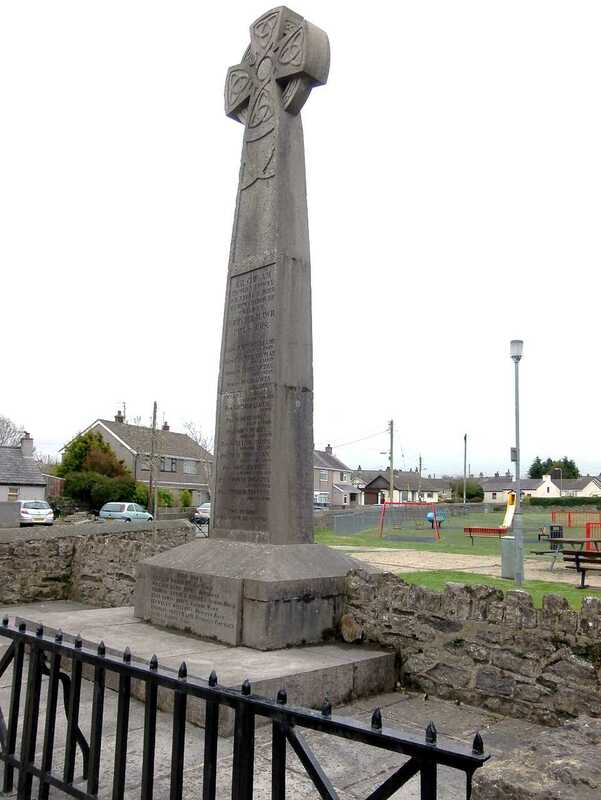 Anglesey, Gaerwen War Memorial and Village. 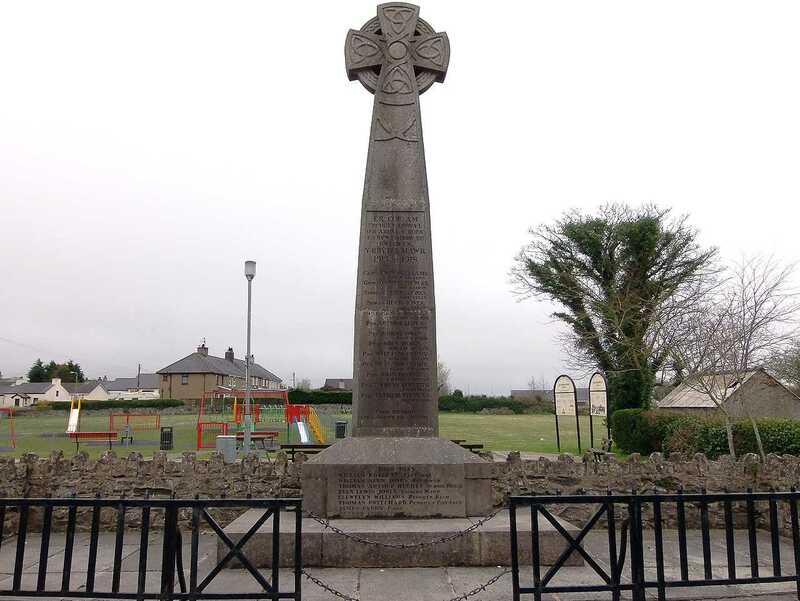 The village of Gaerwen on Anglesey has a most impressive Celtic Cross War Memorial, upon which is engraved the names of the servicemen that died as a result of enemy action in World war One (WWI). 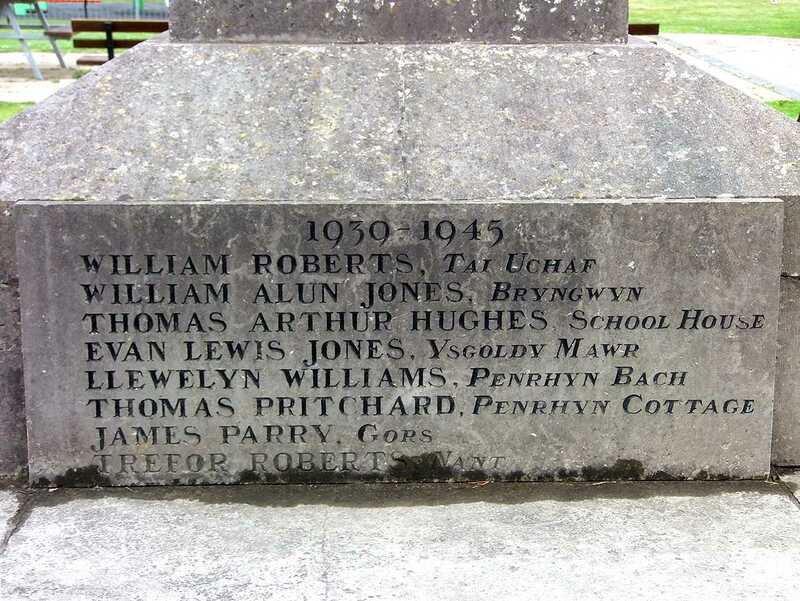 A later stone plaque was added to the plinth with the names of the fallen of World war Two (WWII). 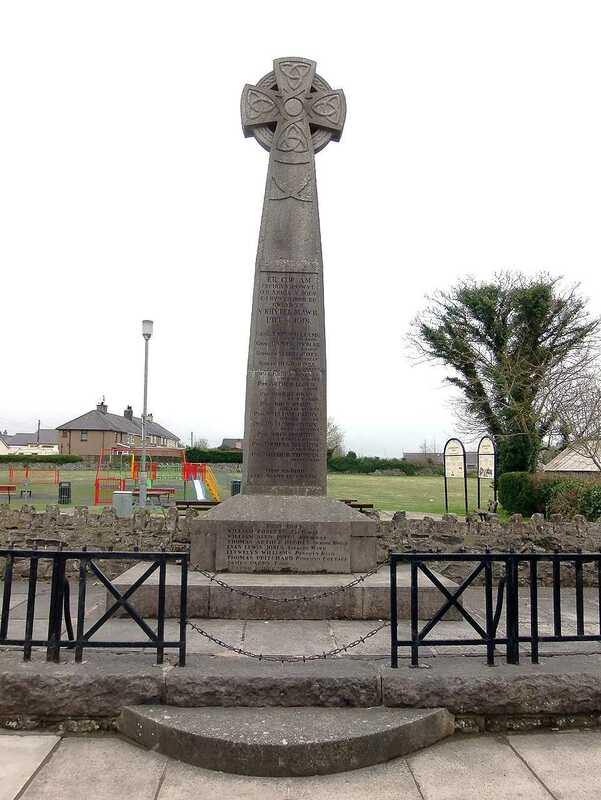 A worthy monument situated on the main road and just a very short distance from St Michael's Church (Llanfihangel Ysceifiog). These are the names on the memorial - plus a couple of extra names worthy or addition. Private, Cheshire Regt, later 548th Agri Co.
Lance Corporal. Welsh Guards. 1st Battalion. Private. Royal Welsh Fusiliers. 9th Battalion. Private. Royal Welsh Fusiliers. 10th Battalion. Private. Manchester Regiment. 12th Battalion. Gunner. Royal Artillery. H.Q. 121 H.A.A. Regt. Stoker 2nd Class. H.M.S.Barhol. Royal Navy. Gunner. Royal Field Artillery. D Battery 88th Bgde. Captain. 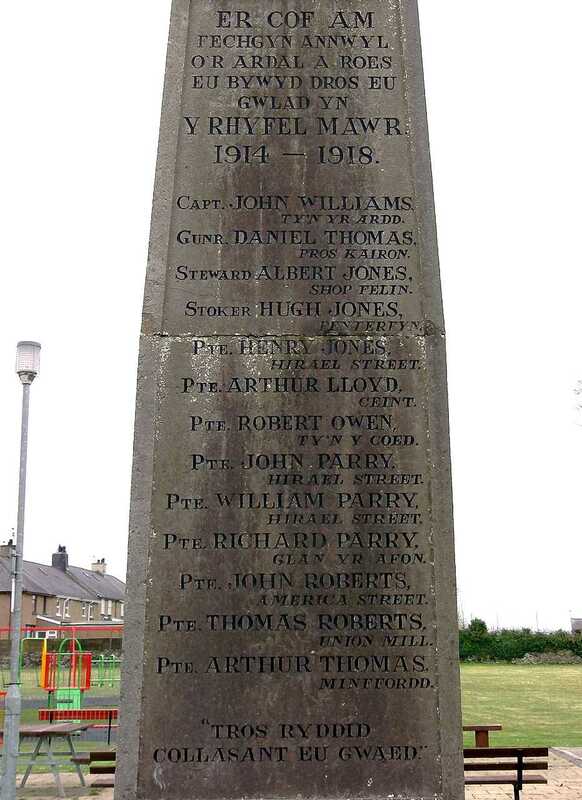 Royal Welsh Fusiliers 19th Battalion. Fusilier. Royal Welsh Fusiliers. 1st Battalion.